Discussion in 'France' started by SportBoy333, Oct 14, 2007. I have noticed that Marseille attendance is not encouraging and was falling in dip this season. For the past 10 years they usually average about 40k-45k attendance per game, how is Marseille losing their attendance with their new State Velodrome stadium is beyond hilarious to me. I am guessing the situation at Marseille must be very depressing over there. There's hope with the new owner but I have no idea if they sold to the right guy. Doesnt look like it based on his history. They are being linked with some decent names for general manager and coach though. 57000+ crowd in the Parc OL for the derby. This has to be a new record attendance for the stadium. Yeah but some St. Etienne player (cant remember who) said the atmosphere wasnt as good as the GG blah blah blah. The Marseille supporters are coming back again !!! 57091 crowd in Stade Velodrome stadium against Bordeaux the first home game under their new coach Rudi Garcia ! hurray ! Hmmm I wonder if they can break 60k. Btw they have a very low amount of season tickets this year due to the fact they were disgusted with previous ownership. 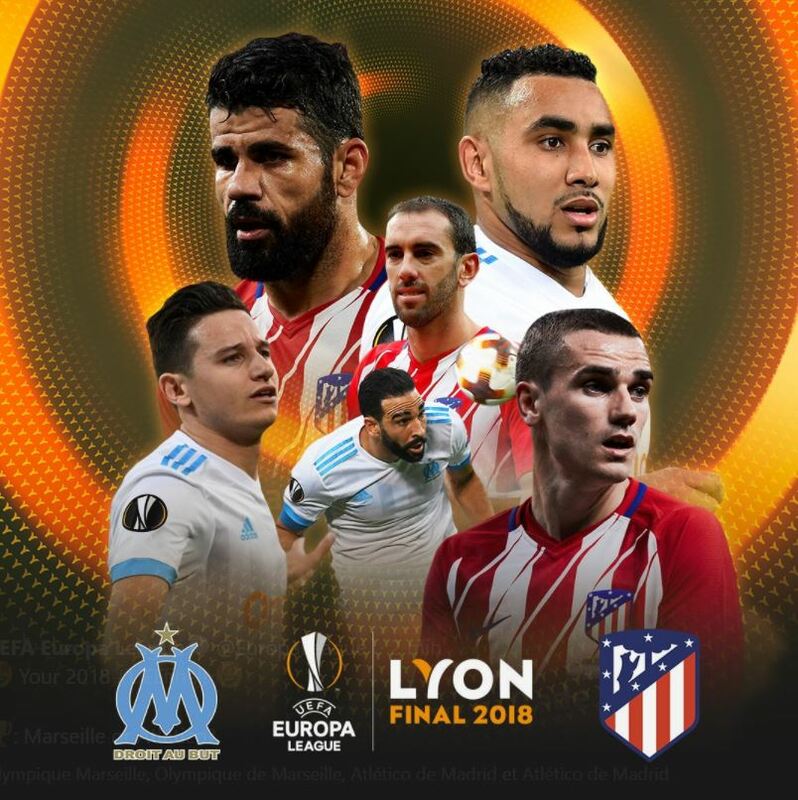 Parc OL 2018 Europa League final is official. Prince Albert talking about potential Stade Louis II renovations. « Il y a un projet qui doit encore être affiné, mais nous n’avons pas eu de réunion sur un projet définitif pour l’instant. Mais l’idée est d’avoir de meilleurs équipements, pas nécessairement plus de places dans les gradins, mais plus de loges. Il nous manque ces espaces de loges et d’accueil, et une meilleure circulation à l’intérieur du stade. Louis II restera toujours un stade multisports et on ne pourra pas supprimer la piste d’athlétisme, même si cela avait été suggéré. Nous avons un club d’athlétisme, cette piste sert aussi pour le sport scolaire et on a aussi un meeting international de grande qualité. En prenant tout cela en compte, on pourra, je pense, envisager une amélioration et une restructuration d’un nouveau stade Louis II », a confié le Prince Albert, qui ne fixe aucune échéance pour le réalisation de ce nouveau stade. Basically they want more club seats, luxury boxes, etc. They cant remove the athletics track because its used for other things and its a mulit purpose stadium. The ideal situation would be do what the Stade de France does and cover the pitch over the track for football and rugby. The problem is Louis II isnt capable of doing that because it was made in the 80's before that technology came to pass. 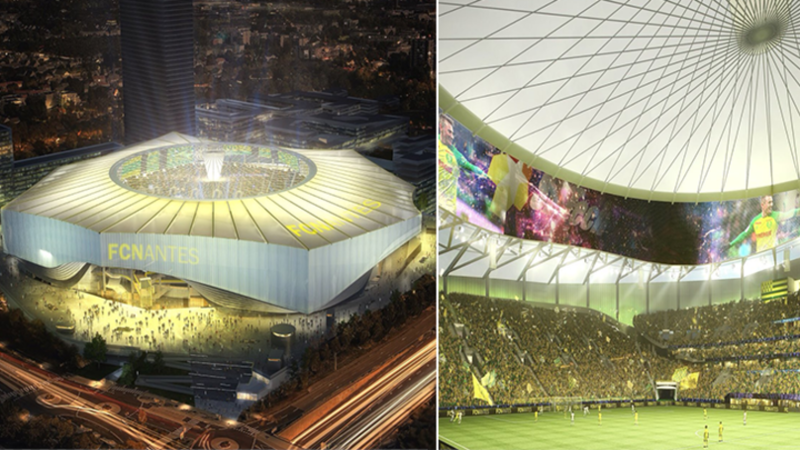 Im interested to see how they can move the stands closer to the pitch with the track there or if it can even be done. From what I understand, when the Stade de France is in football mode, the stands arent exactly really close to the pitch. 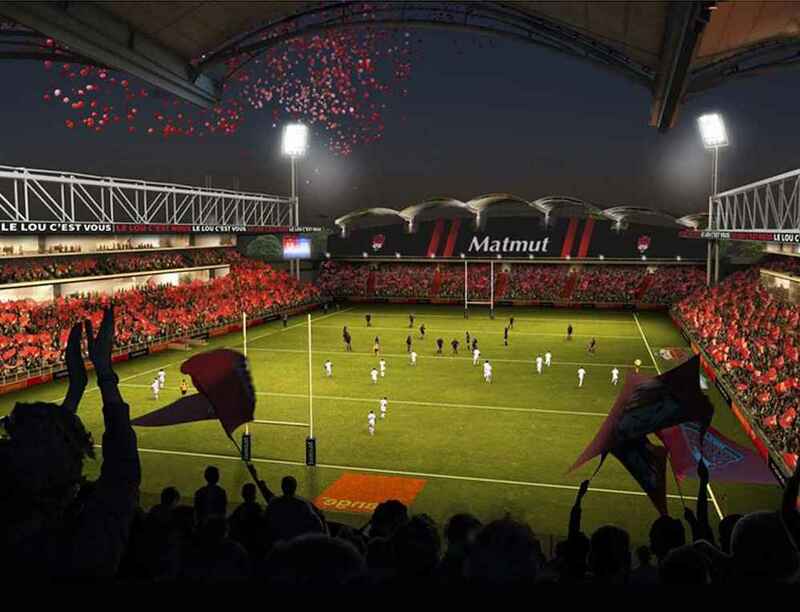 Old Stade Gerland being turned into a 20,000 seat rugby park. A new record attendance has been set in OM Stade Velodrome stadium for an Europa League match.